Journey through Berlin’s LGBTQ history at the Schwules Museum (Gay Museum). The Tiergarten district museum exhibits gay culture both within and outside of Germany through events, talks, and exhibitions. The Schwules is also one of the world’s largest institutions for research and communicating the history and culture of the gay community. In the early 1980s, three students founded the Gay Museum with the aim of increasing acceptance and tolerance in communist Germany. Through the years the museum has attracted exhibits, visitors, and many different LGBTQ-supportive groups from around the world. Today, there are more than 50,000 objects showcasing gay culture, from postcards to clothing to vinyl records with themes such as drag queens, gender issues, and AIDS. Tours focused on the gay community generally include a stroll through Berlin’s gay neighborhood of Schoneberg and a stop at the Gay Museum to discuss LGBTQ history and influence. You can also purchase the Berlin Pass for free entry to the Schwules Museum along with 50 other attractions in the city. The Schwules Museum is a must-visit for those interested in the history of the gay community in Berlin and Germany. Visitors generally spend about an hour and a half exploring the exhibits. Free guided tours in German and English are available at 6pm Thursday and 4pm Saturday. The museum features an archive and library, which you can use for research purposes without an appointment. A museum shop and café are located on the premises. The Schwules Museum is located in Berlin’s Tiergarten area. Take the U1 metro line to Kurfurstenstrasse station or the U1, U2, U3, or U4 line to Nollendorfplatz station; both are about a 10-minute walk from the museum. You can also take city bus 100, 106, 187, or M29 to the Lutzowplatz stop, a 5-minute walk away. The Gay Museum is open from 2pm every day except Tuesday, with varying closing times. It is one of the few Berlin museums open on Monday. For the most contemplative, crowd-free experience, visit the museum in the early evening. Until the fall of the Berlin Wall, the gay community in Berlin suffered much discrimination, which is discussed in some of the Gay Museum’s exhibits and pieces. Once the wall came down, this marginalized community began to thrive under the city’s newly liberal culture. 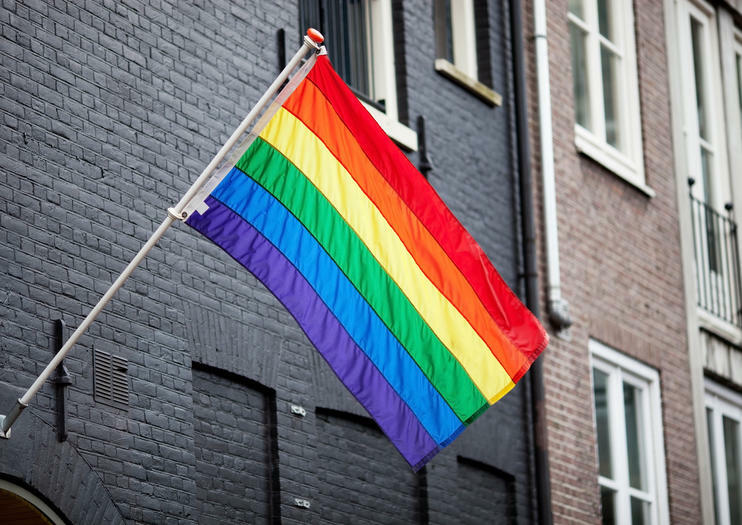 Today the gay community is vibrant, which you can see through the exhibits at the Gay Museum and while walking through the Schoneberg neighborhood. Levende, progressiv og multikulturel, Berlin har været en pioner i homoseksuelle bevægelser siden slutningen af ​​det 19. århundrede. Dyk ind i byens LGBT-historie på denne 3,5-timers vandretur gennem de historiske og kulturelt rige kvarterer Schöneberg og Kreuzberg. Besøg en af ​​byens ældste trans bars; slentre gennem Tiergarten og lære om HBT-figurerne, der har formet byens historie; og besøg Gay Museum * (Schwules Museum *), verdens første homoseksuelle museum.